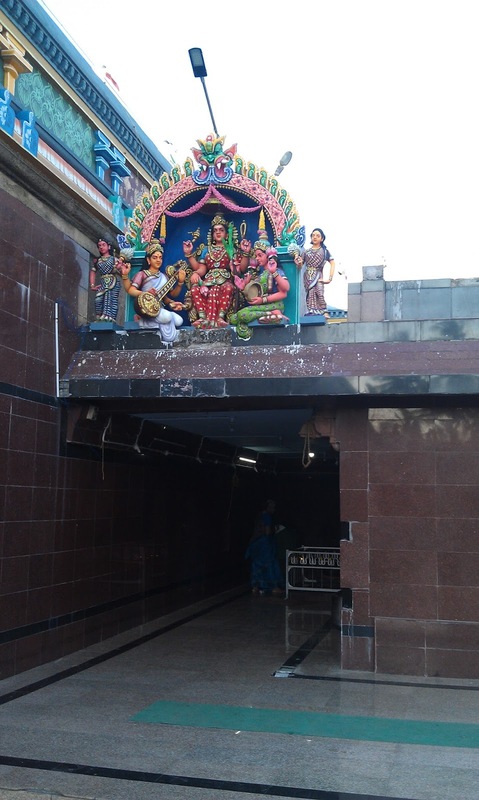 Atchaya linga Swami & Anjuvattathamman temple - Keezhvelur. அரசன். 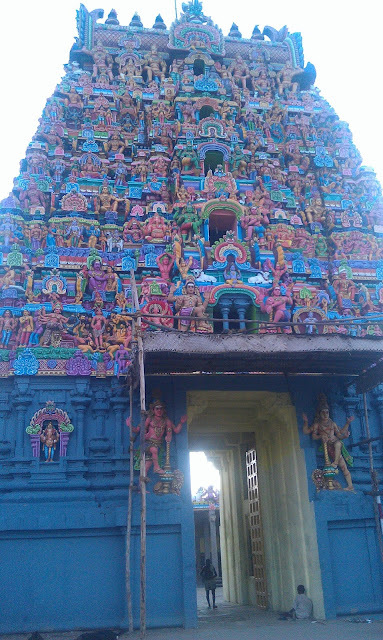 He later built more than 70 Shiva temples on the north & south bank of river cauvery in Tiruchi & Thanjavur districts.Now you can tell who is the king, yes ; it is the spider who did Siva poojai in it's previous birth.Now we 'll go around a big temple built by the king Kochengat chozhan,thanking him,his mother & father & the whole Cholzha king dynasty for their wonderful devotion to God Shiva.The king built big compound around each temple that it could not be crossed by an elephant. God Muruga is suffering from Veerahathi dosham due to killing of asura brothers(Soora padman) & approached his father Shiva.God Shiva advised him to establish eight Shiva Lingams in eight direction & perform Shiva poojai in each one of them.The place from where Balasubramanyan established eight lingams is called, Keezhvelur(கீழ்வேளூர்) .As Muruga is from Devaloga,the place in the earth where he did penance is called Keezhvelur. வேள் என்றால் முருக வேள் .புள்ளிருக்கு வேளூர் - தற்போதைய "வைத்தீஸ்வரன் கோவில்" in between Seerkazhi & Mayiladuthurai. 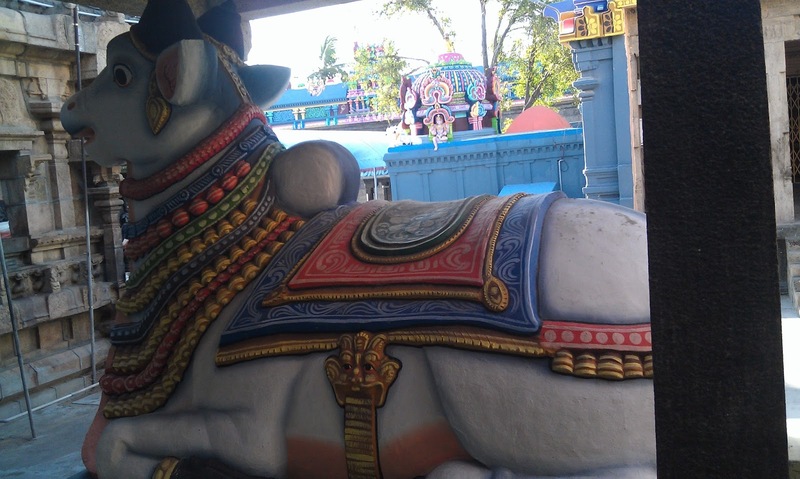 புள்( பறவை) - ஜடாயு , இருக்கு - ரிக் வேதம் - வேள் - முருக வேள் .Keezhvelur is located in between Thiruvarur & Nagapattinam at 12kms from each side, very near to the bus route.It is also connected by train route.The famous Sikkal Singaravelan temple is just 6 kms from here towards Nagapattinam.When Balamurugan began doing penance at Keezhvelur(after performing siva poojai in eight places around Keezhvelur),some unknown forces were disturbing his penance.Then God Shiva directed Goddess Parvathi to protect Muruga to complete the penance.Goddess took the form of "Kaali"(காளி - நான்கு திசையிலும் - மேலே ஆகாயத்திலும் - மொத்தம் ஐந்து வட்டத்திலும் சேர்ந்து -ஐந்து வட்டத்து அம்மன் - தற்போது அஞ்சு வட்டத்தம்மன் என்று அழைக்கப்படுகிறாள். 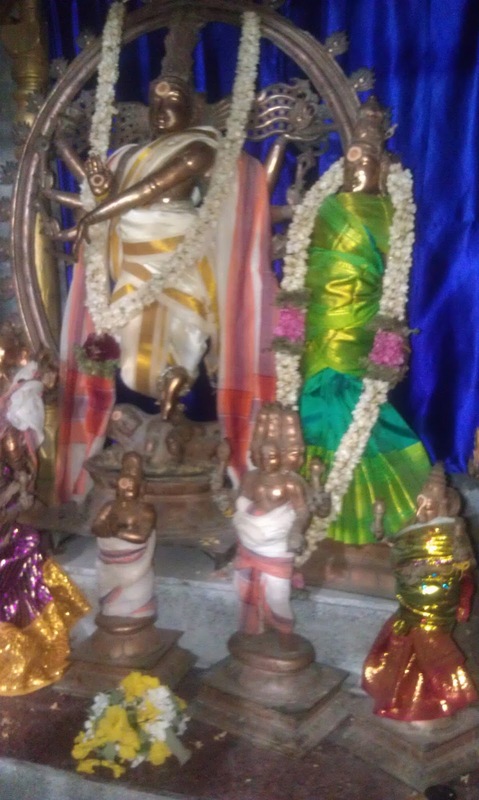 Since Muruga is doing penance he is not in married position here.He is standing looking northern direction.Normally persons doing penance face only northern direction.Swamy is called "kediliyappar"- கேடிலியப்பர் - அட்சயலிங்கம் - அட்சய என்றால் ,அழிவில்லாத ,குறையாத என்று பொருள் .அம்பிகை - வனமுலைநாயகி . 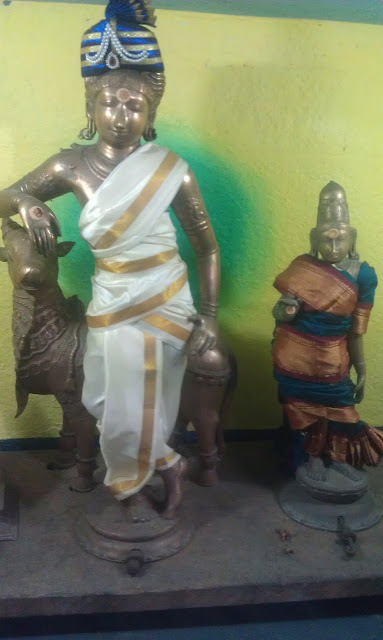 kedili means ever living, never diminishing.Goddess is called "vanamulainaayagi".She is giving dharshan in smiling peaceful pose.This place is called southern "Bathrivanam" as one is in the north called "Bathrinath" in Himalayas.பத்ரி என்றால் இலந்தை மரம். இலந்தை மரமே இதன் ஸ்தல விருட்சம்.This temple has been sung in Holy Devaaram by,Sambandhar,Naavukkarasar & Sundharar.God Nataraja is giving darshan to Saint Agasthiar in this place by lifting his right foot & placing his left foot in the earth.Normally He dances lifting his left foot.If possible visit this temple & have the beautiful pose of Nataraja,accompanied by God vishnu in drums,Sraswathi playing veena,Vinayaga & Muruga performing vocal,Bhramma doing thala instrument,Laxmi clapping & Indiran playing the flute.Watching fans are Saints Agasthiar,Pathanjali,Vyagarapadhar & of course include ourselves.That day is celebrated as " நடராஜ - சிவகாமி திருமணக்கோலம்" in the Tamil month of Aani in the star of Magam. 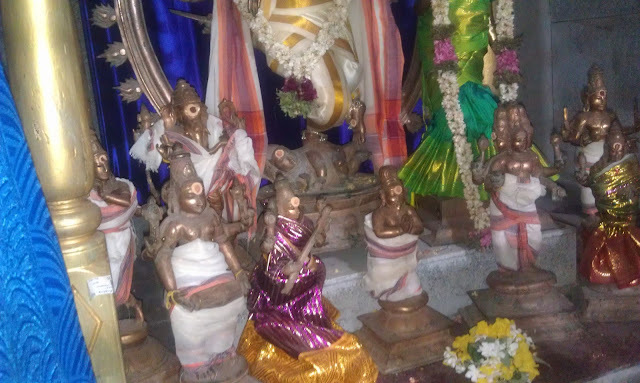 Sankar saranya,You can view some of the photos of Atchaya linga swamy temple which is the family temple for my wife ,later for my daughter also.I was also born in one of the Shiva temples established by Balasubramanya that he established in 8 directions. That's great sir, thank u for sharing & pictures r very nice. Wen I come to India I will go to this temple.